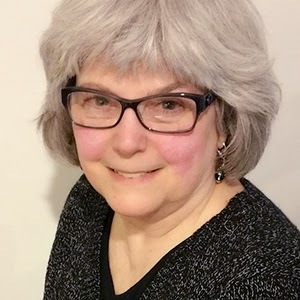 Meryton Press has a new author, Dee Wallain, and a new venue. Brighty's Special Gift is a children's book and it is adorable, a wonderful learning tool for children of all ages. Being a grandmother, myself, I am especially interested in good children's books and this one qualifies. It gives me pleasure to welcome, new author, Dee Wallain, to More Agreeably Engaged. She tells us how her book came into being, and I, for one, am thankful that it did. There is also a giveaway of this 'shining star' so please check out the details at the end. Thank you, Janet, for letting me write a guest post on your blog. This is my first time. I am a new author. I have been a lifelong writer, but this is my first book. Brighty’s Special Gift was published in December 2014 by Meryton Press. I have decided to tell Brighty’s story and share some ideas for using it with the young ones in your life. It has been my practice for the last decade to write a short Christmas story and pair it with a photograph that enhances the message as my Christmas card. Usually, it proves easy to come up with themes for the story. Then I find a way to give it a Christmas twist, and voila! There you have it— instant Christmas card and present all in one. Plus, it’s handmade, has lots of thought going into it, it’s personal, special and one of a kind (not coming off the factory Christmas card press). Sounds easy, right? In 2011, my dad was critically ill. I couldn’t write. I didn’t send out cards. I barely knew my name. He died on December 27. That Christmas was a blur. So, in November 2012 I wanted to resume writing my annual Christmas story. It didn’t usually take long, but my ideas had dried up. I decided to ask God to inspire me. I prayed for a story. It seemed confusing, because I awoke from a dream-filled sleep with the middle of a story. I trusted that God would reveal more. In two more subsequent dreams, I awoke with the end and then the beginning. By March 2013, it was written, but it was too late for the season. So, I reviewed it occasionally and saw that it really was just right for illustrations. In July, I hired a Disney-inspired artist, Wendy La, who read the story and was just as excited as I was. I put the story in a table format with one column for text and the next column describing the picture I envisioned. Piece of cake! As it turns out, my artist was a mind reader who could take my descriptions and “run.” Wendy intuitively knew how each one should look and transferred them into nineteen magnificent paintings. Any child picking up my book can “read” it with these pictures. Next, I began exploring various options for publishing. I spoke with an agent/publisher at a writer’s conference who said she loved the story and wanted to take it home to her kids, but she couldn’t publish it because of its mention of God. I met Michele Reed of Meryton Press by phone to consult on how I could start my own publishing company. She had seen the final draft. She liked it. She shared a few ideas. Ultimately, Michele said she would be interested in publishing Brighty as a new venue for Meryton. Yay! I couldn’t be more proud to be part of this group of talented writers, editors, designers and publishing gurus. Read it out loud to an individual or group. Re-read it making special voice tones for God, Brighty and the others and for the “star” sound effects. Draw, color and cut out the characters and put on craft sticks. Use your hand-made puppets to re-enact the story. Ask questions to start a dialogue. What happens when you are different from everyone else? Do you try to blend in so no one will notice? Are you grateful for your own special talents? Give a copy to a friend whose child is being teased or bullied, and/or take one to your church’s library. Draw, cut out and decorate felt characters and put on a felt board to re-tell the story. Make over-sized 3-D characters with material sewn together and stuffed. Think about other times when hope is needed. Write a story about Brighty lighting the way for that occasion. Make a storyboard for your new story illustrating Brighty and your new characters. Your new characters can be animals or children. Make a “Brighty’s Gift” box and decorate in a special way. Put in slips of paper with compliments you hear about yourself from family, friends, teachers and acquaintances. Read them when you need to celebrate who you are. Make a “Brighty’s Gift” box for someone else. Start their box with slips of paper naming things you or others like about them. Plan a “Special Gift” treasure hunt. Have friends over. Put everyone’s name in a basket. Each person draws a name and writes something special about that person on an index card and decorates it. Have an adult or older child hide the “gifts.” Then go looking for the treasures. Whoever finds and gives the most “gifts” to others, wins. You decide the prize. Share these ideas with your friends. Have these conversations before you need to have these conversations. It will make you the place to go when times are difficult. Go to Amazon and leave a review. All the “stars” on Amazon will help get the word out. I have one friend who read the early version of Brighty when it was in the “works.” She is always one of my test readers. After complimenting me, she asked if this was my autobiography. I paused and thought. “Perhaps it is,” I pondered, “but I don’t think it is only mine.” Being young is sometimes so tough. I want it to be mostly delightful, lined with just the right amount of wisdom, support, and hope to help every child hang tight until the tough growing times are past. I am speaking about children of every age. It is my hope that all of us find our own special gift, and, when the time comes, that we use it for whatever good it may bring to ourselves and others. In the early days of the universe where it is cold and dark with zillions of stars, Brighty feels completely alone. He has no one to play with or talk to. The other stars taunt, torment and bully him because he is strange and different from them. Brighty is hurt by their teasing. He thinks he cannot take it anymore; he loses all hope. After crying out in the big, black darkness for eons, something wonderful happens just in time . 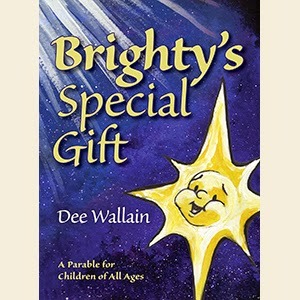 . .
Brighty’s Special Gift is a parable for children of all ages with a special Christmas connection written by Dee Wallain and illustrated by Wendy J La. Thank you for stopping by, Dee Wallain, and sharing with me and my readers this lovely little book for children. I am happy you were able to get it published. Not only is the story helpful and entertaining, it has great teaching tools, too. I wish you much success. By the way, I completely agree with your thoughts on Ellen Pickels! She is 'one of a kind'. Meryton Press is giving away one Paperback copy of Brighty's Special Gift and it is worldwide, special thanks to Michele Reed. Good luck to all and please remember to leave your email address should you be the randomly selected winner. Giveaway ends at midnight, February 27, 2015. Congratulations, Dee, on publication of your first book! I hope there were be many more to come. This little book sounds delightful, and it certainly contains a timely message. I think my youngest grandchildren would enjoy Brighty's story. Here's wishing you much success in your writing endeavors! I read a review at Ceris Blog Babblings of a Bookworm and was redirected her for the giveaway - really like the sound of this book and would love to add it to my daughters collection!